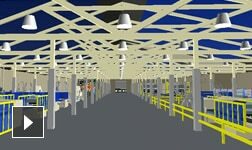 Factory Design Suite is 3D factory design software that helps you to design and visualise more efficient factory and facility layouts before equipment is installed. Expedite designs with automated workflows. Continue building on AutoCAD skills. 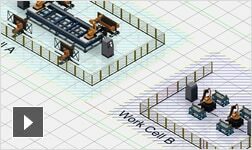 Generate in-sync 2D and 3D digital factory layouts. Design more quickly with a library of digital factory content. Easily search, modify and re-use content. Publish your own frequently used assets to the cloud. Analyse material flow directly in AutoCAD. Optimise machine utilisation and energy consumption. Publish assets with multiple variants. Access a library of architectural elements. Design the whole manufacturing facility. Keep 2D and 3D data in sync. Reduce errors tied to manual workflows. Work with integrated simulation tools. Use automation tools to design faster. Share assets in the cloud. Author and publish smart assets. Define landing surfaces and connectors. Keep 2D and 3D models in sync. Inspect, identify and report interference. Turn CAD data into compelling imagery. Improve the review process for designs. Explain your designs more clearly to nontechnical stakeholders. 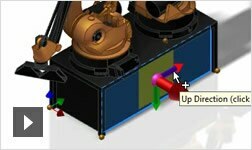 Build 3D models from 2D drawings. Streamline projects using third-party CAD data. Demonstrate operation of layout designs. Present your layout designs in motion. Perform an analysis before you install any equipment. Minimise risks with clash detection tools. 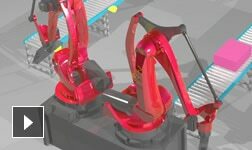 Simulate the installation sequence of equipment. Analyse material flow and energy consumption. Find the most efficient footprint possible. Use modern workflows and point clouds. 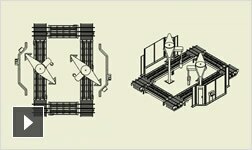 Create custom 3D content for factory layouts. Publish, share and manage assets in the cloud. Protect intellectual property when sharing designs. Use the industry's best mechanical design tools. Save time with interoperable layout workflows. 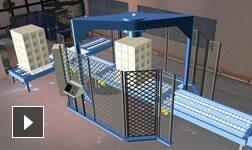 Create, modify and re-use digital models of equipment. Show how your designs integrate with the facility. Share assets online with your sales team. Develop convincing, interactive 3D materials. Help nontechnical stakeholders understand design intent. Impress clients with photorealistic visualisations. Enhance communication with a 3D environment. Quickly iterate in a 3D visual layout environment. Improve the factory design review process. Accelerate the presales design process.